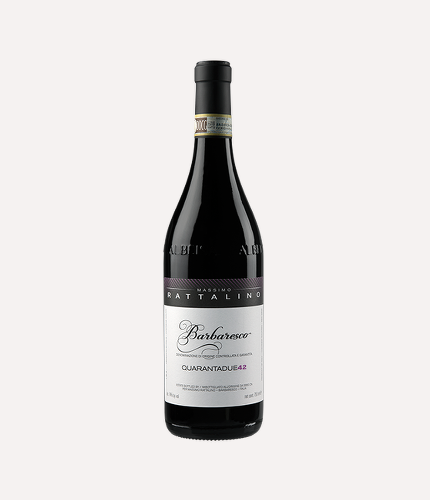 AREA: The vineyard is twenty-five years old and situated in the prestigious Montersino Barbaresco cru, at 240 metres above sea level. ALCOHOL: from 13.5% to 14.5% by Vol., depending on the vintage. SUGGESTED FOOD: Risotto, venetian liver, aged cheeses. The soil is clay and calcareous. The vinification is in stainless steel vats with the emergent cap method and maceration on the skins for about thirteen days. Fermentation temperature is kept ar around 28°C. The malo-lactic occurs at the end of fermentation and after drawing off. This wine has an intense garnet color. It is a complex, dry and ethereal wine. The nose has fragrant notes of roses and violets together with sweet spices and a touch of cocoa. In the mouth, it is harmonious and soft yet gifted with firm and noble tannins and a good long finish.